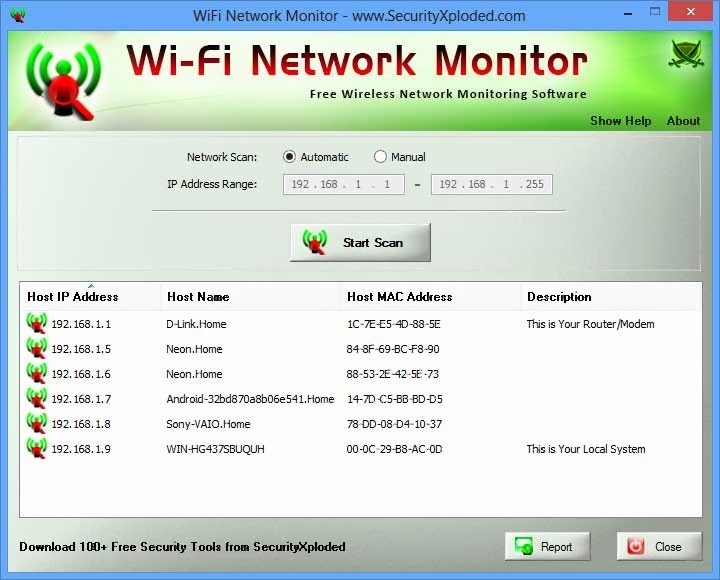 It helps you to keep a watch on your Wi-Fi network and safe guard it from Hackers as well as other unauthorised users. Its swift scan powered by 'ARP based Multi-threading' technique enables you to scan the entire network in just few seconds. It can detect all the systems connected to your Wi-Fi network including desktops, laptops, mobiles, home systems and other portable devices. By default, it automatically finds IP address range of your network. However you can also perform 'Manual Scan' of only certain portion of the network. Being GUI based tool makes it very easy to use with just a click of button.